Over the last few years, small business owners have found it increasingly hard to obtain small business loans from banks. Since the recession of 2008/2009 banks have been far more cautious about lending than previously and even though things are gradually improving, it can still seem virtually impossible to get a loan to grow a small business. When you apply for a small business loan lenders - particularly the big banks - will be very rigorous about the application process. You will be asked a lot of questions not just about the financial numbers and projections of your business but also your own personal financial standing. So if you do apply for a small business loan then be prepared for this and make sure that you have all the information to hand. Make sure your personal finances are in order. Using personal money to meet business expenses could backfire if you do not manage this well. For example, if you fall into the common trap of putting large items of expenditure on your credit cards this not only leads to high interest payments but if you have difficulty paying back your credit card bills this could damage your credit score which can then make it difficult to be accepted for a small business loan. Be able to show clearly the financial health of your business. Many small business owners find accounting and accurate record keeping are chores that tend to be put off, leading to chaotic and inaccurate records and no real picture of the financial status of your company. This is something that does need to change - and there are many new accounting apps available to help. But most lenders would be reluctant to grant a small business loan if it is clear that you are not able to keep your current funds in order. Be able to show clearly what you need the money for. You need to be able to explain the purpose of the loan. If it is to expand an aspect of your business then you need to show a plan for how and when the money will be used and how it will generate income in order to repay the small business loan. Be able to show that your business is stable. You may be applying for a small business loan to expand, but you need to convince your lender that you are able to do this and also maintain your current level of business activity. Do you have a core of regular customers that will provide steady income during the expansion period? If you have staff, do you have steady reliable people to help you keep the business running or do you have a high turnover and are continually having to train new people? A lender will want to be convinced that you have a viable core business before approving a small business loan to expand it. Consider alternative means of funding. Many businesses don’t realise that the big banks are only one potential source of a small business loan. There are many other alternative lenders around. To give yourself the best chance of success in obtaining a small business loan, do your research carefully before applying. You need to decide what kind of small business loan you want and then look at a variety of alternative lenders, credit unions, online lending sources and perhaps even crowdfunding. 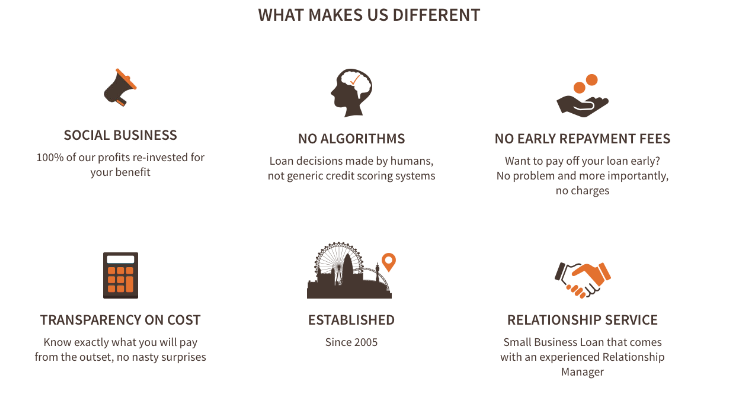 If you are ready to do all this and apply for a small business loan then you are welcome to contact us at Fair Business Loans to see how we might be able to help you. Check out the information below to see what makes us different!